Bogota is located in the Andes mountain range almost in the centre of Colombia, meaning it is easy and sometimes cheap to fly to other places or cities for short trips. Everyone’s heard of the ‘typical’ shorts breaks from Bogota; Medellin, Villa de Leyva, Barichara, Guasca, Chia and the Amazons. 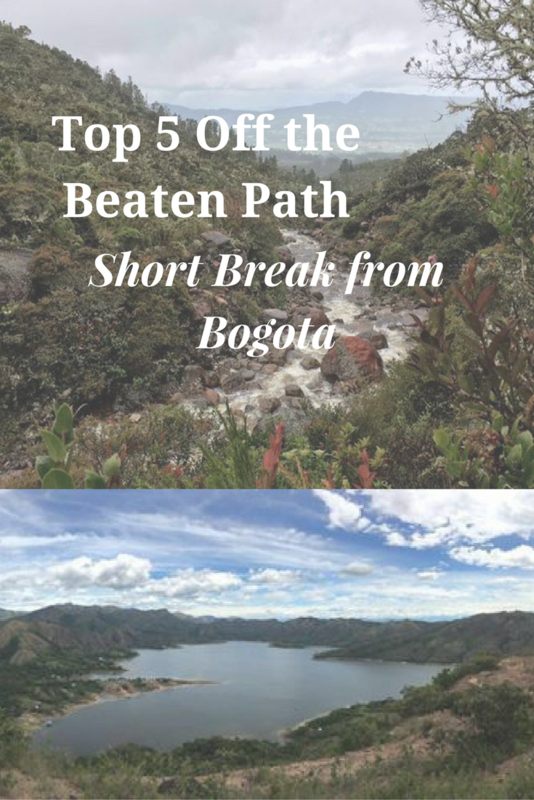 This top 5 list isn’t like that, this list is where the locals go on long weekends, hidden treasures and places Colombian’s love. Prado is a small piece of paradise located around 4 hours drive south of Bogota. It is a small town a short distance from a huge lake and dam, the lake is surrounded by properties and provides the ideal spot for a large number of sporting activities, such as; water skiing, wakeboarding, sailing, caving, hiking and cliff diving. Prado has an average temperature of around 30 – 40c all year round, making it the perfect destination anytime of the year. Villavicencio is the biggest city in the Los Llanos (plains area) located 125km or around 3 hours southeast of Bogota. Villavicencio is home to a number of villas, resorts and hotels. The area is well known for its farming and agriculture. Becoming the ideal location for horse riding, ecotourism and outdoor activities. Girardot is a city located around 134km or 3 and a half hours from Bogota. It is located in the southwest of Bogota, providing lovely warm temperatures. It is home to many, resorts, clubs and hotels, with swimming pools and other activities. Girardot has a water park as well as many historical landmarks and a National Park. Villeta is located 90 km or around 2 hours north of Bogota. Villeta has a warm climate all year round providing the perfect location for a warm weekend get away. Villeta has a large number of villas, spas and hotels to rent. The town has a large plaza, markets and old colonial buildings. Perfect for a relaxing weekend away from the buzz of the city. Melgar is located around 2 hours southwest of Bogota, down the mountains giving a lovely temperature of between 28 to 30 degrees Celsius. Melgar is often referred to by Colombian as the ‘city or sea of swimming pools’, due to the fact there is over 5,000 swimming pools. Melgar is home to a large number of villas and hotels for people to rent or stay in for the weekend. Melgar boosts a large number of actives such as; swimming, white water rafting, adventure sports as well as quiet calm boat trips. As you can see these are some of the destinations Colombian visit on long weekend or for shorts breaks. From Bogota everyone wants to visit the warmer weather, which as you can see is easily accessible from all directions around the city.